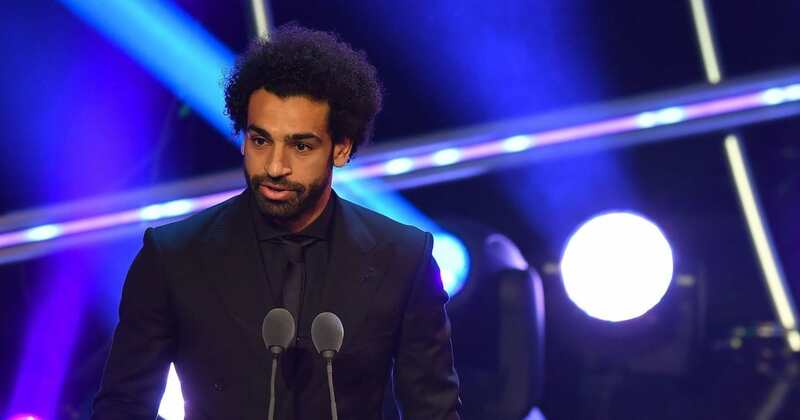 Liverpool’s Mohamed Salah has won the Puskas Award for best goal at the annual FIFA Best Awards held in London on Monday night. The goal, which ?Salah beautifully curled into the corner on a snowy afternoon against Merseyside rivals Everton, beat off competition from a stacked list of amazing goals. It wasn’t enough for Liverpool on the day as they drew the match 1-1 at Anfield, but Salah admitted he was delighted to pick up the award. Cristiano Ronaldo, who scored an overhead kick in the Champions League against current club Juventus, and Gareth Bale, who hit one of his own in the Champions League final against Liverpool, are among those to miss out on the award. Named for Hungary legend Ferenc Puskas, the Puskas Award has been presented to the scorer of the ‘most beautiful’ goal of the year on an annual basis since 2009. Past winners have included Olivier Giroud, James Rodriguez, Zlatan Ibrahimovic and Neymar. Elsewhere, Belgium stopper Thibaut Courtois won the Best FIFA goalkeeper award. He helped his country finish third at the World Cup to achieve their best ever finish, while at club level he helped Chelsea win the FA Cup last season and later moved to Real Madrid. The Best FIFA Goalkeeper was a new award for 2017 and was first won by Gianluigi Buffon.